I'm not too much of a sweater person, I rather just layer on pieces. I have always had an itch factor with clothes, for example itchy wool sweaters are a no go in my book. To my surprise this 100% super fine wool sweater has become a favorite. 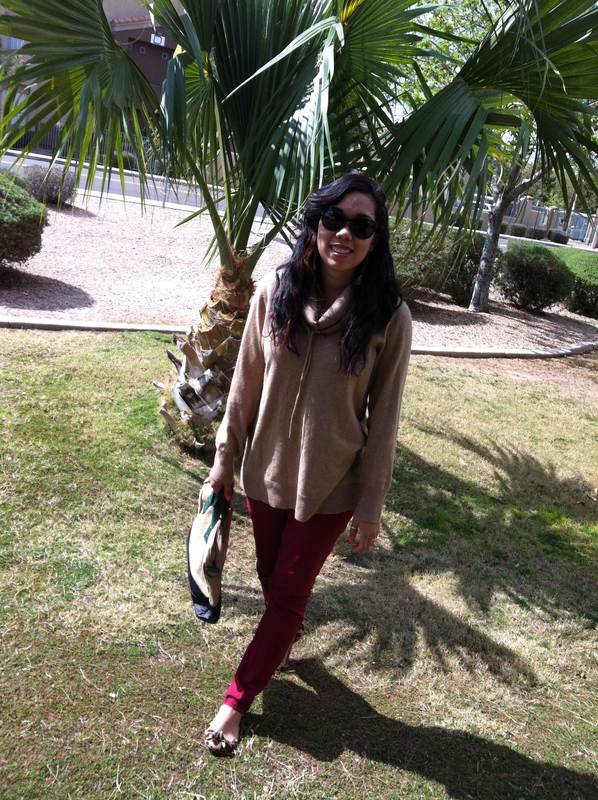 It's easy to throw on, I love the color, the fact that its oversized and there are no lint balls all over my sweater. I like that I don't feel restrained, I can breathe in this light weight sweater. The cowl neck allows for that - dictionary.com explains cowl as a round folding around the neckline, which is exactly how this sweater is and why I love it so much. 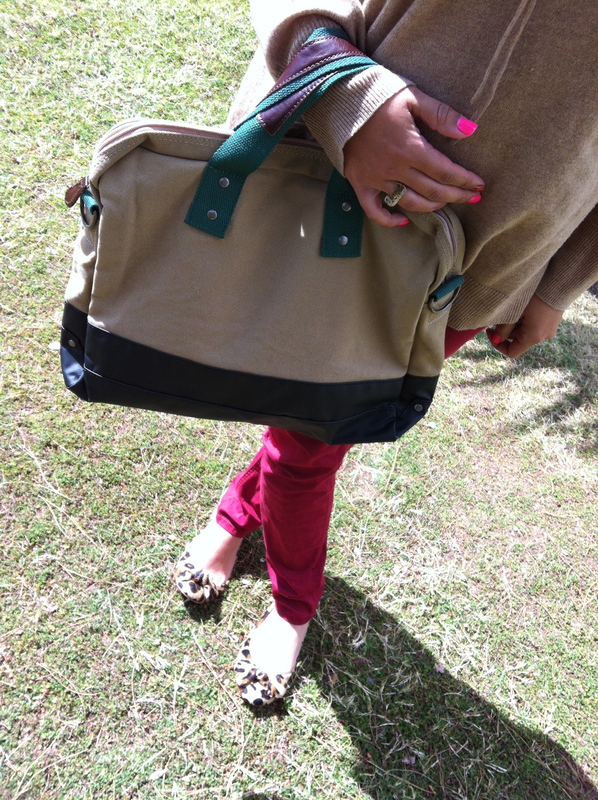 How cute is this men's messengers bag? I think it adds a little twist! So the big question: cowl neck lines - do or don't? having a good monday? check!